Montblanc is an international brand of culture. The brand’s heart beats especially strongly for fine art, theatre and classical music. For many years, Montblanc has expressed this deep connection by supporting talented classical musicians and projects throughout the world. Over the years, Montblanc has established friendly ties with exceptional artists, who identify with the brand, who surround themselves with the products and who — as friends of the house — are pleased to appear at Montblanc events. Montblanc’s particular emphasis is on supporting young artists, vocalists and musicians. The Phi/harmonia of the Nations, which features young musicians from more than 40 nations, had enjoyed Montblanc’s support since it was founded in 1995. Annual prizes, such as the PRIX Montblanc (for classical instrumentalists) and the Montblanc New Voices Award, (for young opera singers) are platforms that help to showcase talented new artists and present them to a wider audience. Classical music also reigns supreme within the company. At regular in-house lunch concerts in the midday break, classical music stars are invited to perform for the brand's staff, thus creating an amiable atmosphere and sparking an inspiring dialogue. partnerships and joint projects are created on the basis of mutual respect for the creative output and performance of the other. We believe that this is essential to enable an international brand like Montblanc to creatively help shape the future.” (Lutz Bethge, CEO Montblanc International). Montblanc Brand Ambassador and Chairman of the Montblanc Cultural Foundation since 2008 The Chinese musical genius is one of the worId’s best pianists. At the age of five, he won his first piano competition and at 17 had his international breakthrough. Since then, Lang Lang has performed in the world’s biggest concert halls, but is also deeply committed to supporting new talent and is involved in international charity work. 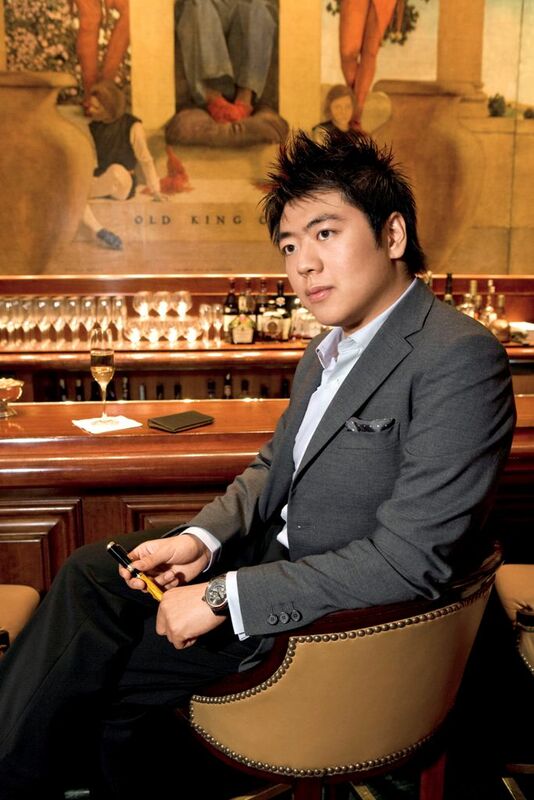 Lang Lang writes with a Meisterstuck 149 from Montblanc. Montblanc Brand Ambassador 2007 and Chairwoman of the Jury of the PRIX Montblanc 2007 The French pianist Helene Grimaud was nine years old when she first learned to play the piano. Helene Grimaud writes with a Starwalker Fineliner and wears a necklace and bracelet from the Silver Jewellery Collection. Born in 1985 in Russia, Alina lbragimova is an exceptionally talented violinist. She learned to play at the age of four and performed publicly for the first time at the age of six. Her family have wholeheartedly supported her musical education and moved to London with her when she was ten. Alina lbragimova at the presentation of the PRIX Montblanc 2008 in Berlin. She wears necklace and earrings from the Fine Female Jewellery Collection “Etoile Sécréte.